HidrateSpark Smart Water Bottle | OhGizmo! By Gadget Flow on 02/01/16 • Leave a comment! Make sure you’re drinking enough water with HidrateSpark, the smart water bottle. 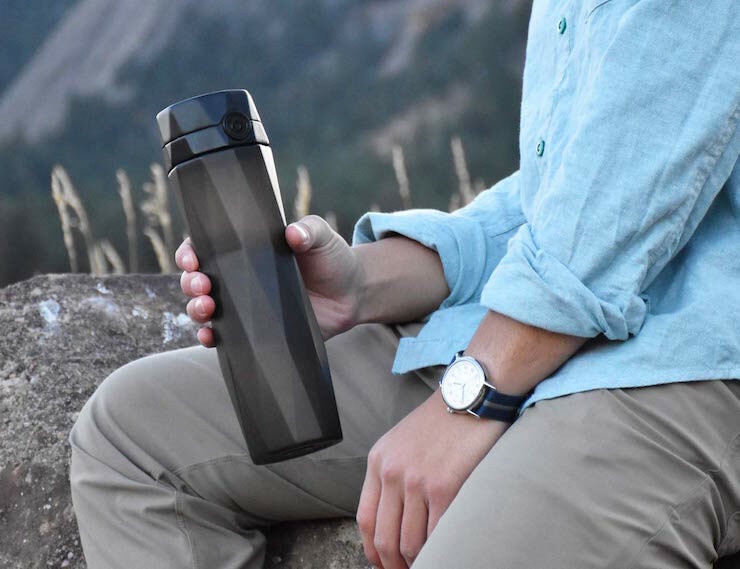 Connecting to the Hidrate app on your phone via Bluetooth, this bottle is outfitted with advanced technology and a precise sensor to keep track of how much water you consume. The app sets goals for what you should drink each day and it will send you helpful, friendly reminders to keep you sipping. If you do forget to drink your water, HidrateSpark will glow to alert you instantly.